If you are ashamed of your yellowed or stained teeth, you are not alone. 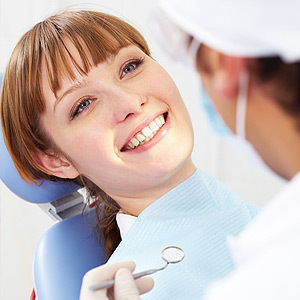 One of the most popular cosmetic dentistry procedures is teeth whitening, and for good reason. It is one of the fastest and most effective cosmetic procedures available, with dramatic results in just minutes. But what makes professional teeth whitening different? Learn more about teeth whitening with help from your Sugarland, TX dentist. Throughout history, oral health has always been important. Before the invention of toothpaste, people used soft chewing sticks cut off of trees to keep their teeth clean. While this may sound like a less-than-perfect method, the practice is still in use today in some places, proving its effectiveness. Teeth whitening itself began with the ancient Romans, whose doctors believed urine would lift the color of teeth. Modern teeth whitening began with barbers, who were responsible for tooth care as well as cutting hair. In the late 18th century, the discovery of fluoride opened the gates for a more modern approach to teeth whitening. Today, teeth whitening comes in many variations, including at-home kits and incredibly effective professional treatments. At-home teeth whitening kits do whiten teeth, but their results are much different than an in-office session. At-home whitening kits take several weeks of continued use to show results while your Sugarland dentist’s whitening method only takes about an hour to lift the color of your teeth up to ten shades. This is due to the whitening agents used. In-office sessions are monitored by your dentist, meaning the chemicals used can be stronger than at-home whitening agents. Additionally, your dentist uses a special whitening light to speed up the process, leaving you with a Hollywood smile in just a single session. Keeping your teeth white is as easy as avoiding the things which stain them. Coffee, tea, tobacco use and darkly pigmented foods such as berries contribute to teeth staining and yellowing. 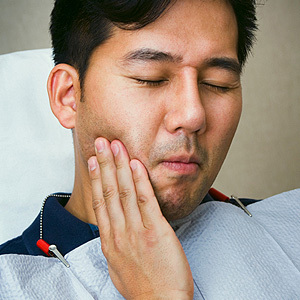 Since avoiding these things is not always feasible for many people, there are ways to limit the time the stain-causing acids in these foods and drinks are in contact with your teeth. Swish with water after eating these foods, and try to eat them all at once instead of throughout the day. Most people who undergo professional teeth whitening treatments see their dentist for touch up sessions once or twice a year. For more information on teeth whitening, please contact Dr. Stephen P. Lukin and Dr. Mark Lukin at Lukin Family Dentistry in Sugarland, TX. Call (281) 265-9000 to schedule your teeth whitening appointment today!